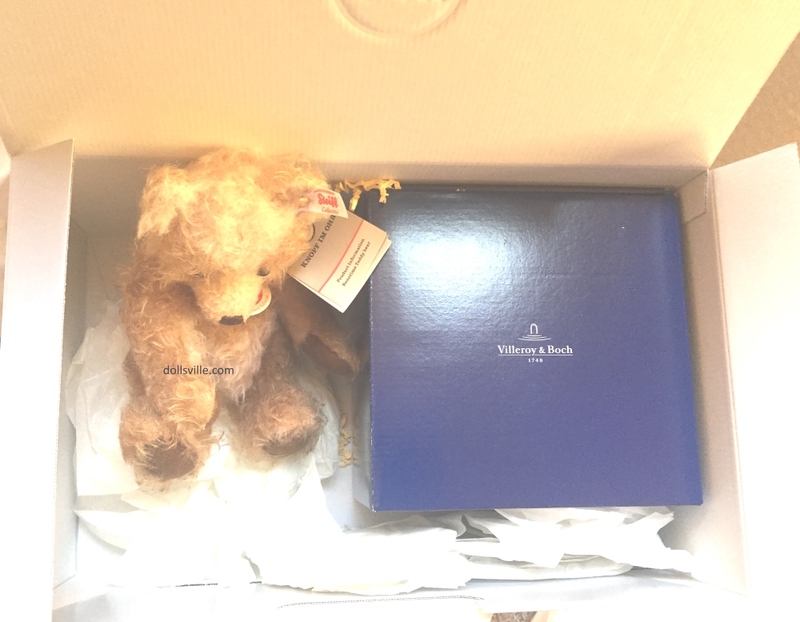 Steiff Mohair Teddy Bear, Handmade in Germany by Margarete Steiff GmbH with the world-famous "Button In Ear" trademark: a mark of absolute top quality. 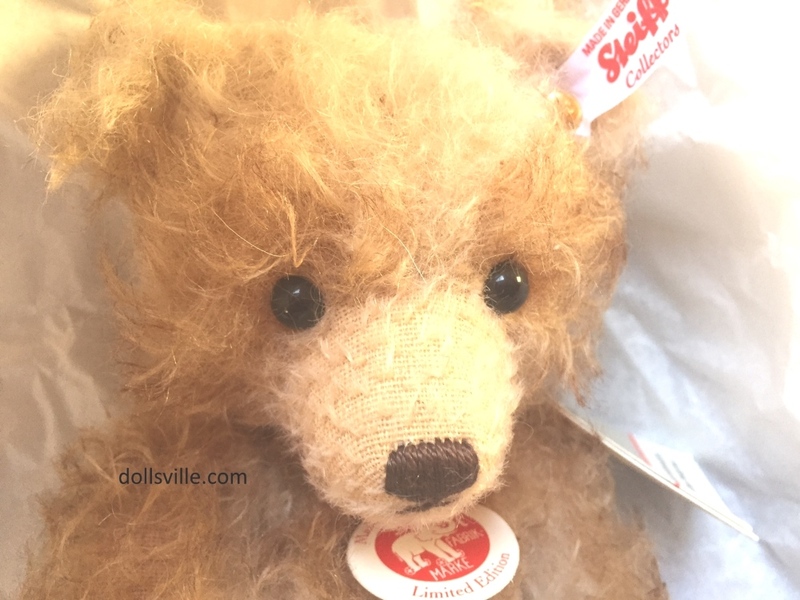 This Steiff has a gold-plated "Button In Ear". Click on the links below for bigger color photographs. 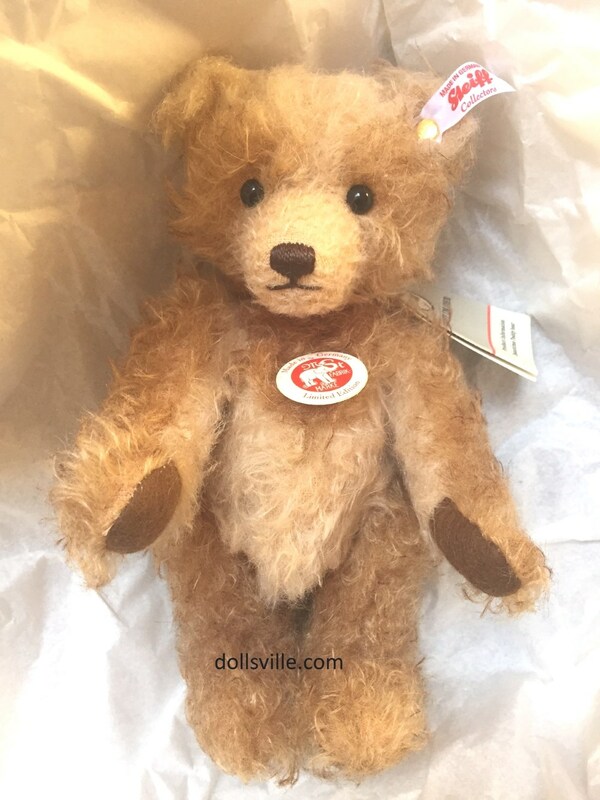 Teddy bear Benotime is hand-made of the finest mohair, cream/brown, fully 5-way jointed, head is loosely attached to the body, surface washable. A limited edition of 750 pieces with gold-plated "Button in Ear". 25 cm, 10 inch Steiff item no. 006524. 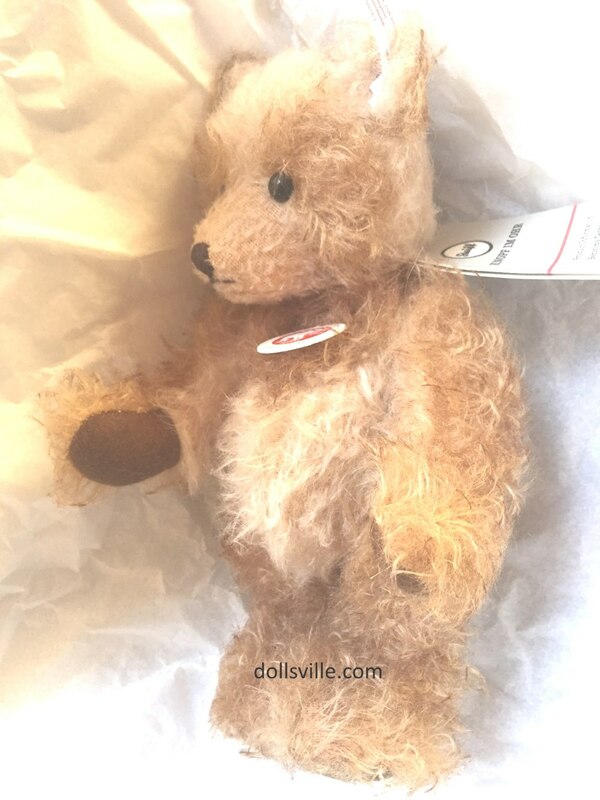 Benotime Teddy bear's creamy-brown mohair combines all the colors of coffee. 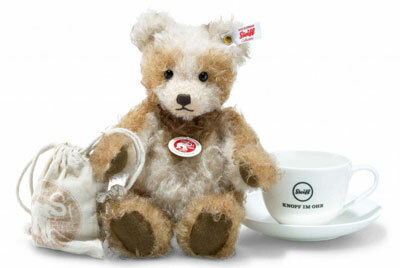 As a thoughtful friend he has even brought you a Steiff coffee cup made by Villeroy & Boch. Simply take your bear with you to work and you will always have your coffee close at hand. This adorable coffee companion is certain to enhance your day at work with charm, aroma and friendship! 10" Benotime Steiff Teddy bear with Villeroy and Boch cup and saucer Set (Reg $298.00)SALE!